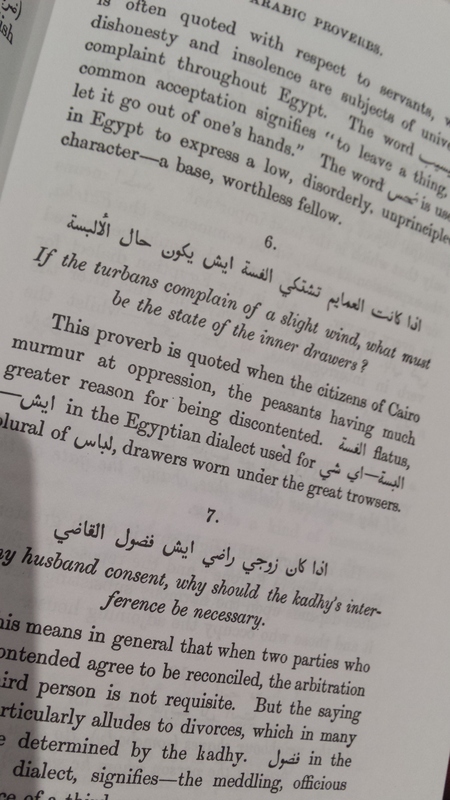 One of my most treasured books is Arabic Proverbs by J. L. Burckhardt, a Swiss orientalist famous for travelling to Mecca disguised as a Muslim in 1814-15. I’ve always found the book fascinating, and I couldn’t resist drawing on it in writing my novel Cairo Mon Amour. A difficult technical challenge in writing this book was finding a narrative voice for my Egyptian characters. I used proverbs here and there to give some oriental spice without stereotyping; I get tired of the Bad Arab Syndrome, a condition that seems to afflict many thriller writers. I’ve vowed that no character of mine will say, “By Allah, the infidel dog will taste bitter dates this night”. ” … I couldn’t act, but I could – let’s say – give him the kind of companionship he needed. So with the help of his movie cronies the owl became an actress, as the old saying goes,” [Zouzou said]. In fact, Burckhardt’s original proverb is ‘the owl has become a poetess’, intended to describe a person who is operating above their level of competence. I adapted it to the context and added a bit of support for the reader with ‘as the old saying goes’. Later, Pierre describes Zouzou as ‘tough as a sheep’s ear’, but this isn’t one of Burkhardt’s: I made it up. My Arabic is reasonably good, but I have no idea whether the Egyptians say this. Does is matter? I think not. “Ha! They whine about the breeze around their turbans, but what about the farts in their drawers?” one officer said bitterly. The original (see illustration) is somewhat different, and Burkhardt’s translation treats the fart word delicately: ‘a slight wind’ in the translation, and then the Latin flatus in the commentary. My version is as bawdy as the original, but I’ve modified the first part so that I give farts more emphasis by placing it later in the proverb. And I couldn’t resist adding the sniffing comeback. I wonder if other writers have used this strategy? You can find out about my novels here. Love hearing your thoughts as you write your novel. Thanks Sarah. The neat thing is blending your professional knowledge with your fiction.